It is the year 2019 and our 21st-century generation live in the age of digitalization. The internet has the largest part to do with our daily lives, most of us spend more time online than offline. Whether you wish to share your contents or set up an online company or business, most of us intend to lean on WordPress to do so as it is one of the leading hosting sites worldwide. With the ease of usage with custom plugins and templates, you can create the perfect website with WordPress. If you are a female entrepreneur, you will be happy to know that you can now customize your WordPress website to match your taste. How? Well, WordPress has come up with a lot of customizable feminine WordPress themes you can use! These themes usually feature beautiful and pretty design designed especially with feminine features in mind. Whether you want a girly, elegant or a pretty design, typography, or layouts, it is now easy to find one that suits your unique taste! So here is a perfect list of the best options you will find for feminine WordPress themes online for your website! You will find both premium and free feminine WordPress themes here so that you also have the option for variations. What exactly is a Feminine WordPress Theme or Template? Feminine basically means a term that defines something that has the quality or appearance that is associated with women mostly meaning delicacy and prettiness. Or the other definition is simply the term used to describe something opposite to manly or masculine. So when it comes to WordPress template that is considered feminine, it is basically a template that can is a girly or pretty WordPress themes. Most of these templates boast their delicate colour combination as well as pretty designs. Unlike most WordPress templates, these templates have distinct girlish designs with pretty and light colours as well as feminine typography options! 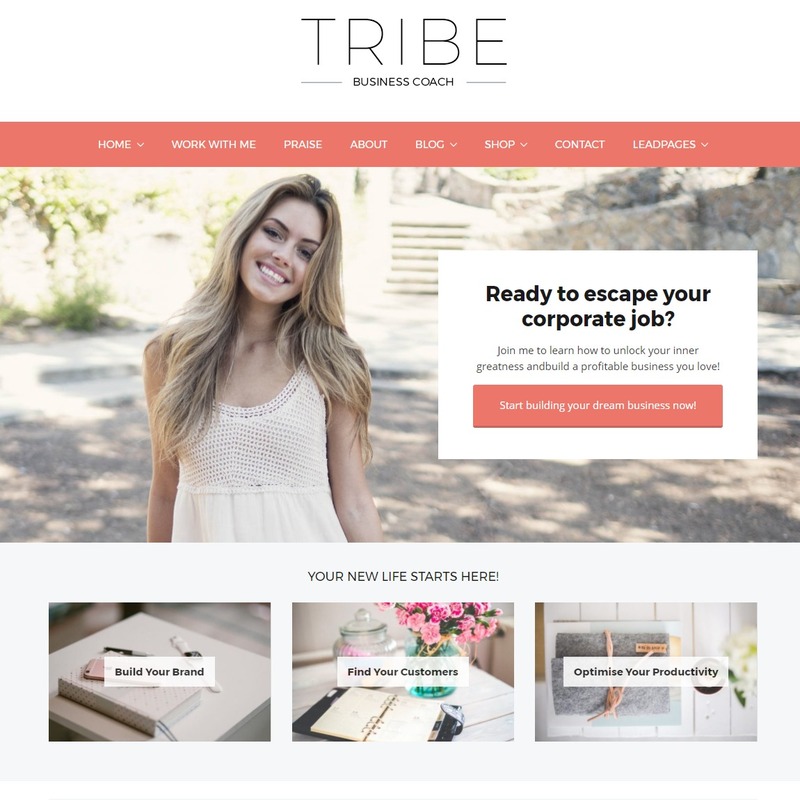 One of the best options you can find if you are looking for a feminine WordPress theme, Tribe Coach is a pretty WordPress theme designed especially for coaches in mind. Optimized to capture the lead, the theme moreover features perfect blocks and site architecture that is just another level. Another awesome feature of this template is that it comes with the front-end live editor which enables you to easily customize the elements on your page! Full-width design with image backgrounds. Unlimited colour scheme and google font options. 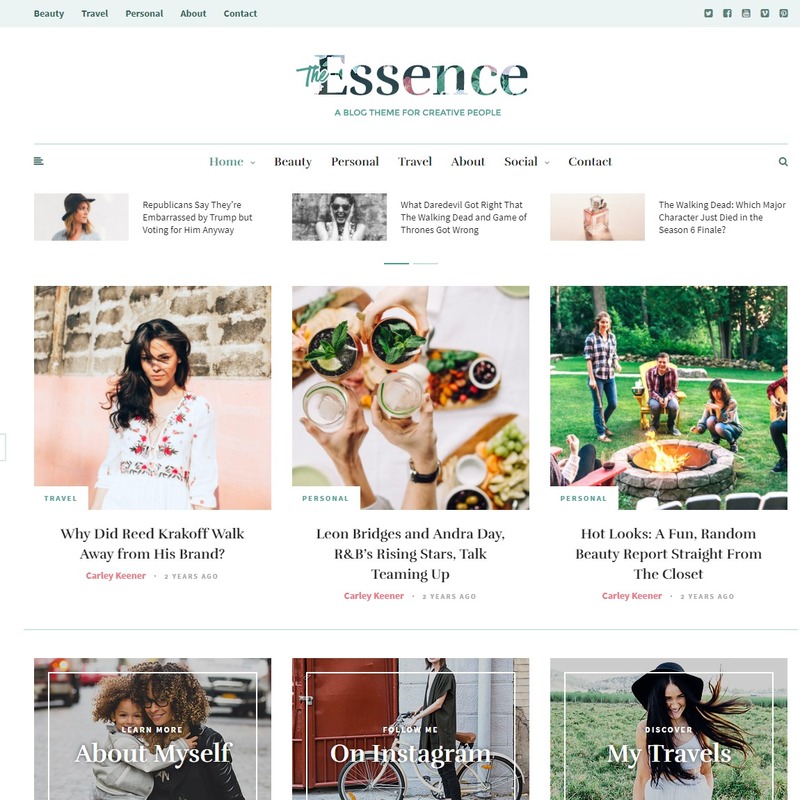 Essence is a beautiful WordPress theme that you can use for basically any type of blog as it comes with over 17 different homepage layout. The template is packed with functionalities such as front-end customizer as well as featured slider and more. 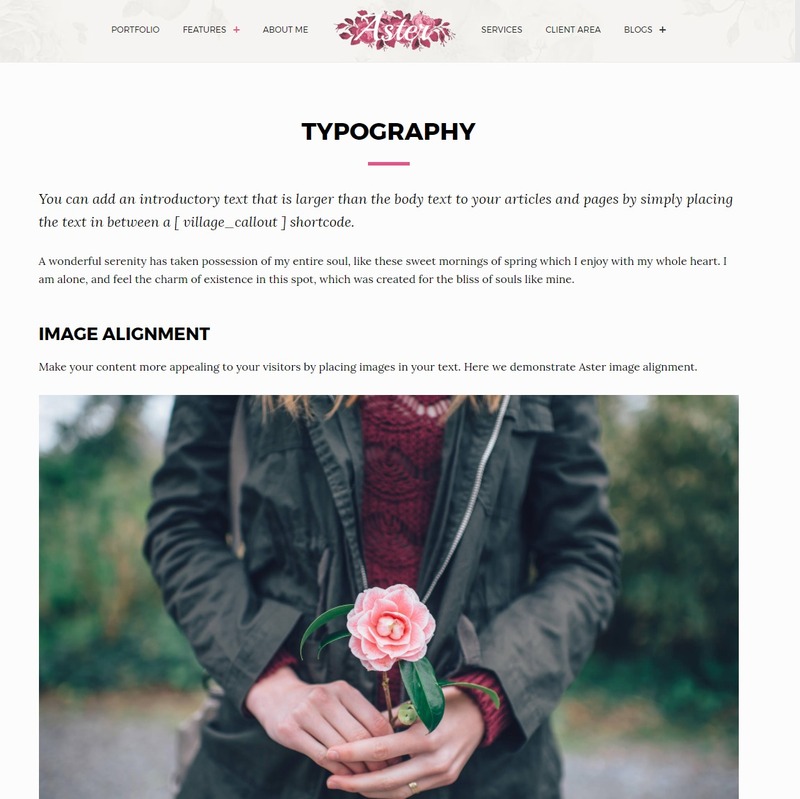 Furthermore, another great feature of this girly WordPress theme is that it also comes with a custom feature of Meridian Styler that makes the editing part easier. Premium as well as fast support. While most feminine WordPress themes boast their girly features, Divi is one that is elegantly feminine in all of its aspects. 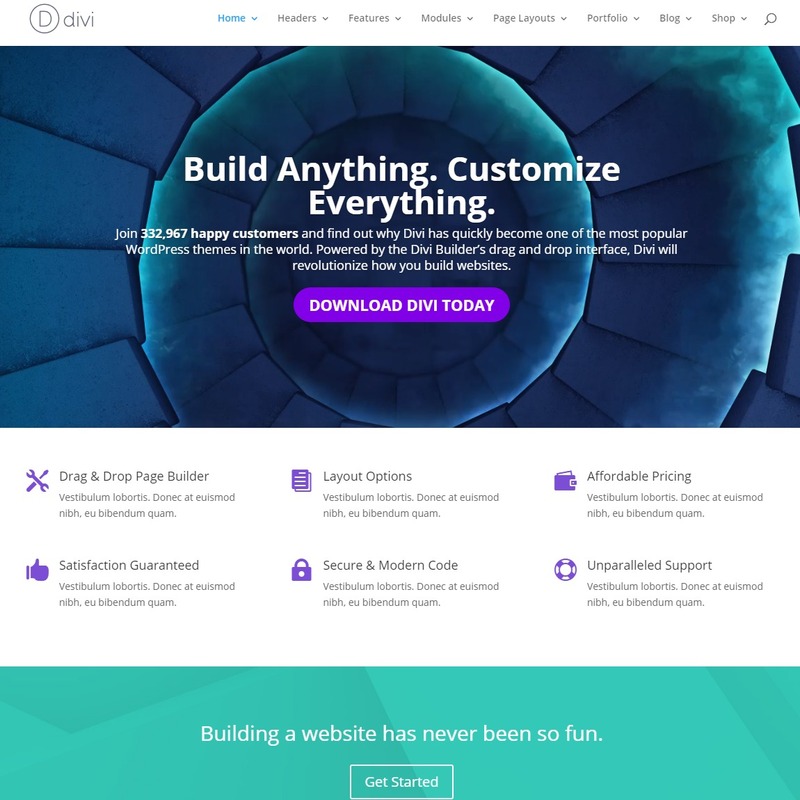 With it’s inbuilt Divi Page Builder with front-end editor, you can easily build your site easily and insanely fast. Moreover, you can customize the design of your website however you like and as it is multipurpose you can make it into any type of blog that you want. For this, you also get over 20 premade layouts that you can build. Options to edit with the front-end or inline editing option. Customizable UI with responsive Editing. Features great elements like- Gallery, Contact Form and Social Follow. Looking for a flexible and feminine WordPress theme? 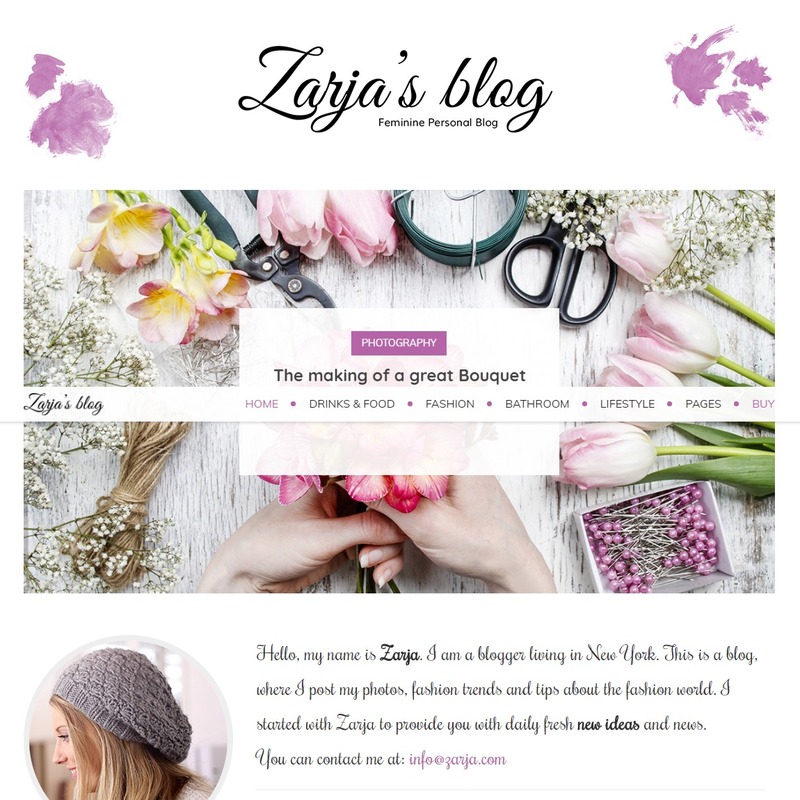 Zarja is a WordPress theme that covers both these options. With a fully responsive design, this beautiful WordPress template boasts it’s unique grid for the post-presentation purpose. Although this theme is perfect for personal blogs, you can use this for any type of website that you own! SEO Optimized and made for readability. 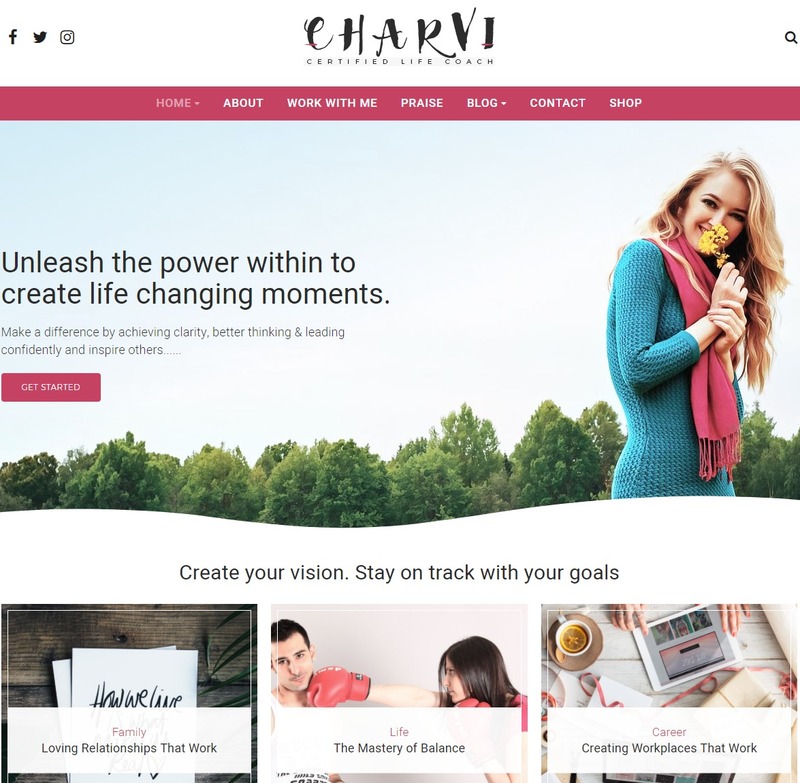 Charvi Coach is a feminine business WordPress theme that is perfectly designed for modern female entrepreneurs. 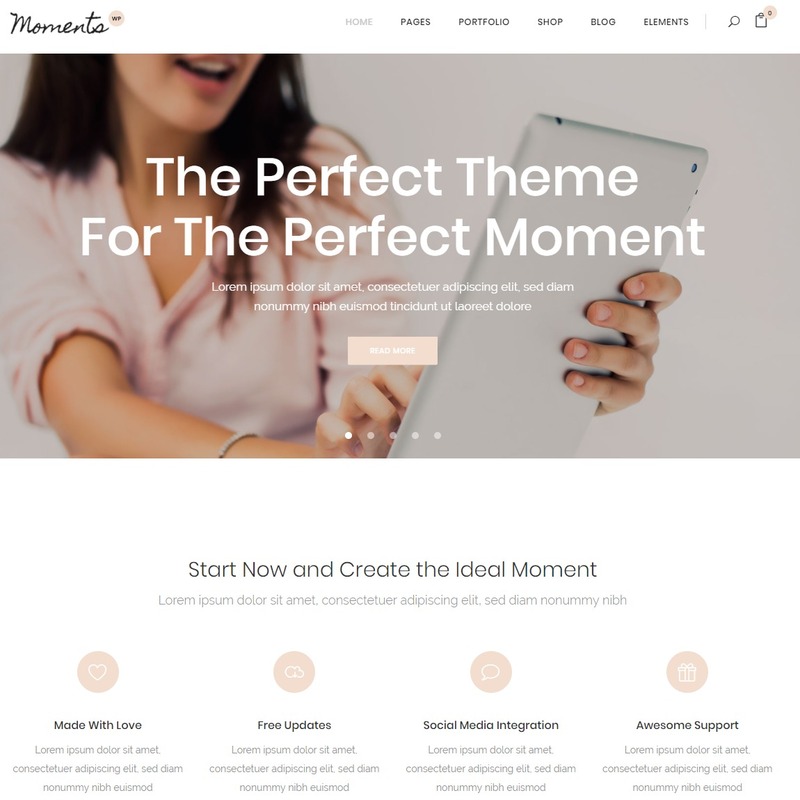 The feminine and pretty design easily make this the best option for anyone who is looking for pretty WordPress template. You can use the in-built Live Customizer to make the customizing more fun and easy! Furthermore, other great functionalities include its BootStrap Framework and responsive design. SEO friendly and WooCommerce integrated. Responsive design with social media integration. 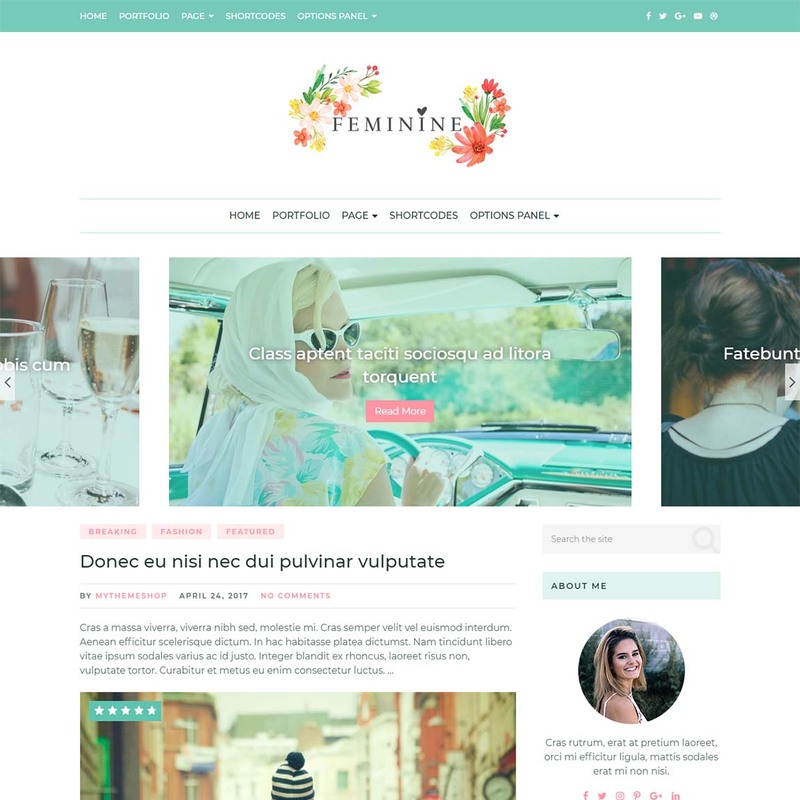 Feminine as the name says is a pretty WordPress theme that has all the elements that you can want from a feminine WordPress theme. The theme comes with unique designed post layouts as well as three slider layouts for variations. Furthermore, the template is also optimized for speed and features unlimited colour options to match your unique taste. You can easily customize it and build an awesome feminine blog for yourself! Optimized for speed and SEO friendly. Can be used for unlimited websites. 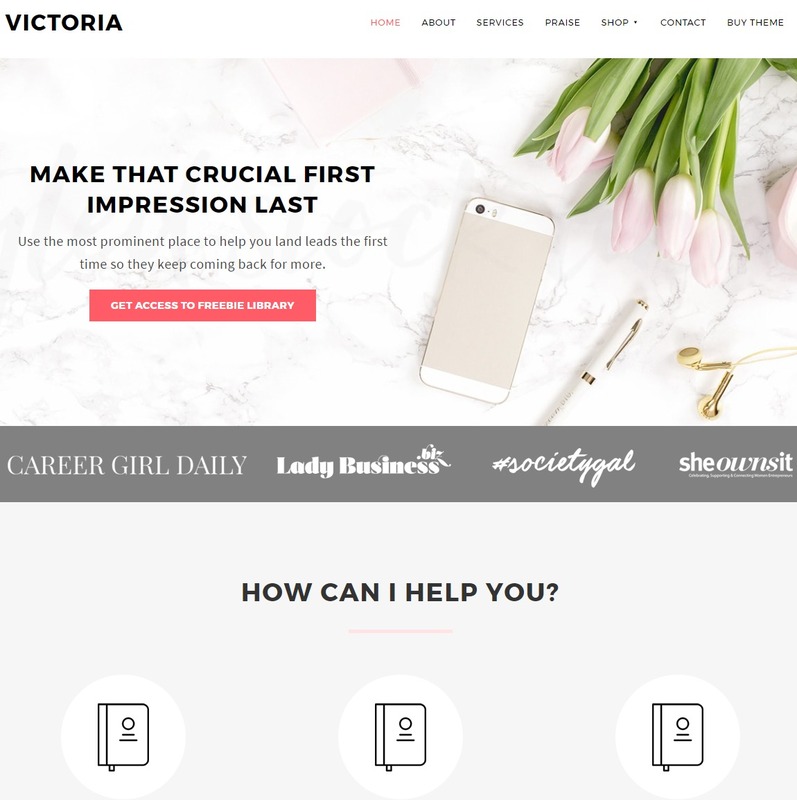 Victoria is a feminine WordPress theme that is designed especially for female entrepreneurs and girl bosses in mind. With pretty design and the ability to showcase your business online, this girly WordPress theme makes this one of the best you can find out there. Being WooCommerce compatible, you can also easily set up your online business on your site. Furthermore, the responsive design makes the whole look more appealing. SEO friendly with social media icons. Option to upload your own header logo. Looking for a perfect photography and portfolio feminine WordPress template to showcase all your beautiful works? Then Aster is just the theme for you. The theme comes with a simplistic content focused design that is suitable for a photographer’s site. Moreover, you can also choose from unlimited layouts that match your unique taste. Easy to set-up and use, Aster is a beautifully designed feminine WordPress premium theme. Option to upload your very own patterns. Responsive design with an unlimited colour selection. 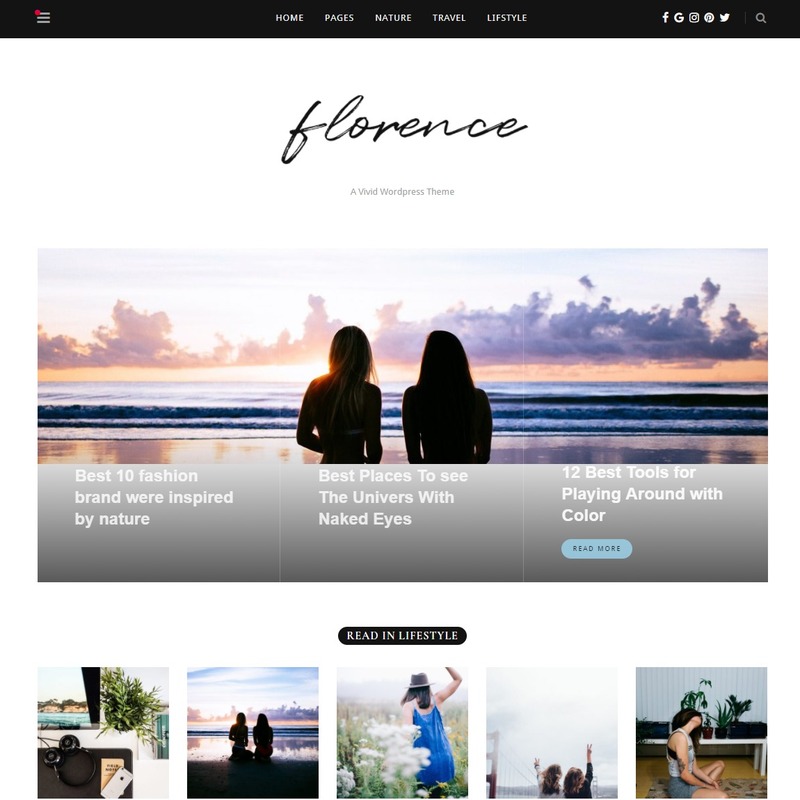 Creative and unique, Florence is a multipurpose WordPress theme that also features feminine side to WordPress. It is a perfect choice for a personal blog, magazines or fashion blogs. The best part is that this theme comes with three featured posts styles as well as over eight different home layout styles. 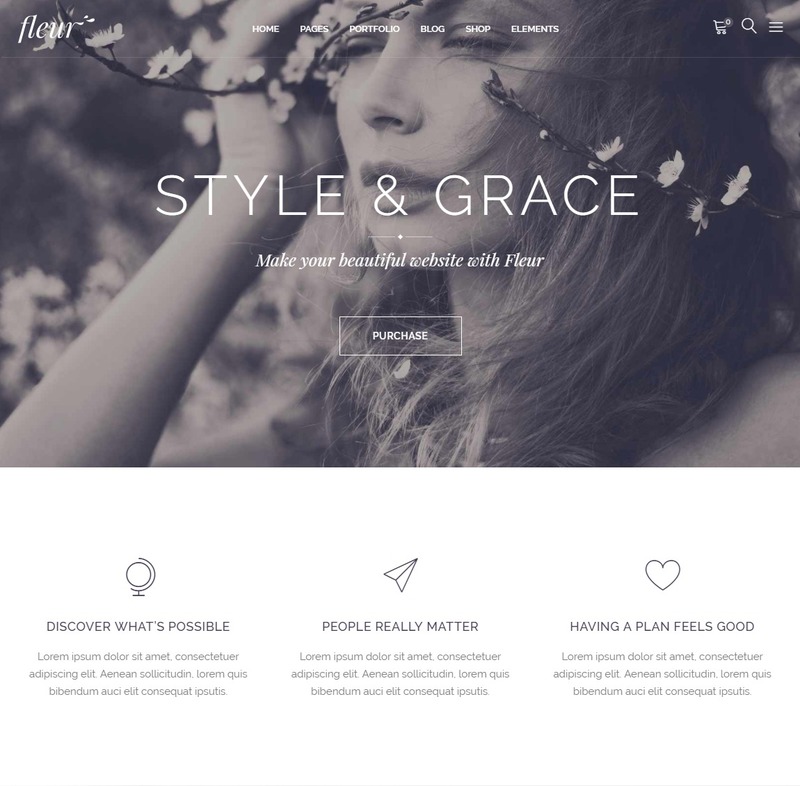 Vivid, fresh, and modern design with feminine elements that you can add up, this is another of the best feminine WordPress templates that you will find. Who says being feminine needs to be pink all over? Try out this definition of feminity that you cannot deny. Beautiful design with pretty sidebars and headers. Highly customizable without any coding. Over 600 different Google fonts. 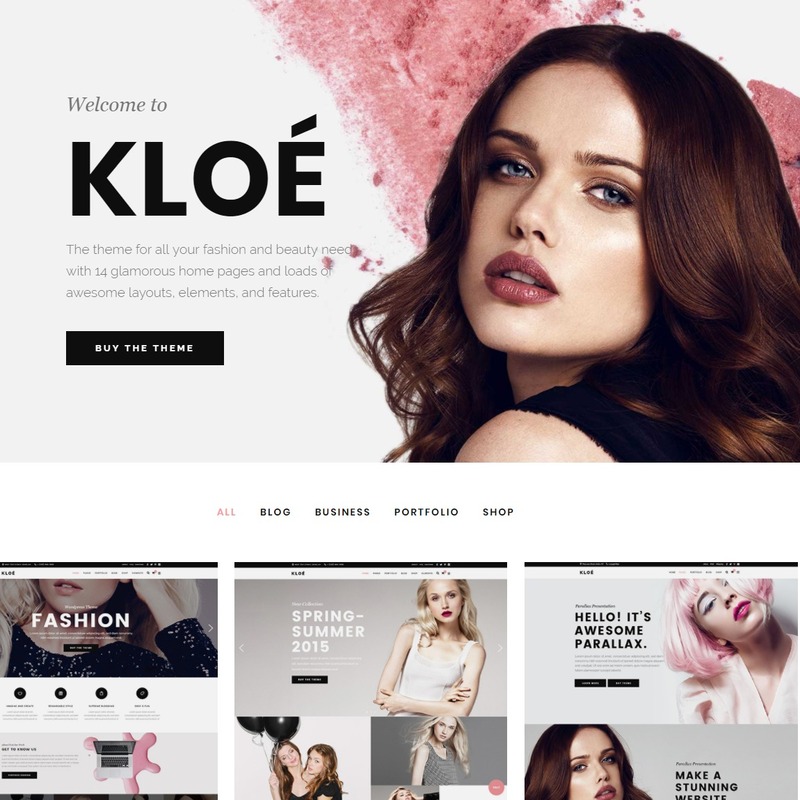 When talking about premium feminine WordPress templates, we had to mention Khloe. The feminine aspect of the theme immediately draws attention to your site. Perfect for fashion, lifestyle and business blogs, you can even use this template to set up your online business. The template comes with an awesome collection of premade layouts that you can choose to customize. You can also create a stylish portfolio to showcase all of your brilliant works or even your products if you wish. Multiple header types and behaviour. Multiple Portfolio list and single layouts. A multipurpose WordPress theme is a template designed especially for wedding and celebration events theme. Now you can add the feminine aspect to your website while inviting people to join you with your celebrations. You can even use this template to customize and create your own photo gallery or a portfolio. The template features an elegant and responsive design. Moreover, since this is integrated with WooCommerce, you can even turn this template to set up an online business. The best part is that customizing with the template is super easy with the visual composer front end customizer! Fully responsive and mobile-friendly design. Detailed documentation along with RSVP forms. Easy one-click import and installation. Who said being feminine had to be all colours and flowers and hearts? Here is a proof of how minimalism with simple and elegant features can be absolutely feminine. Fleur is a feminine WordPress template that is absolutely gorgeous to look at. The simplistic and elegant design features all the features and elements that you may require. 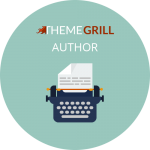 Highly customizable you can make this theme into any type of blog or website you wish to. Thirteen premade layouts that you can choose from. SEO friendly and translation ready. 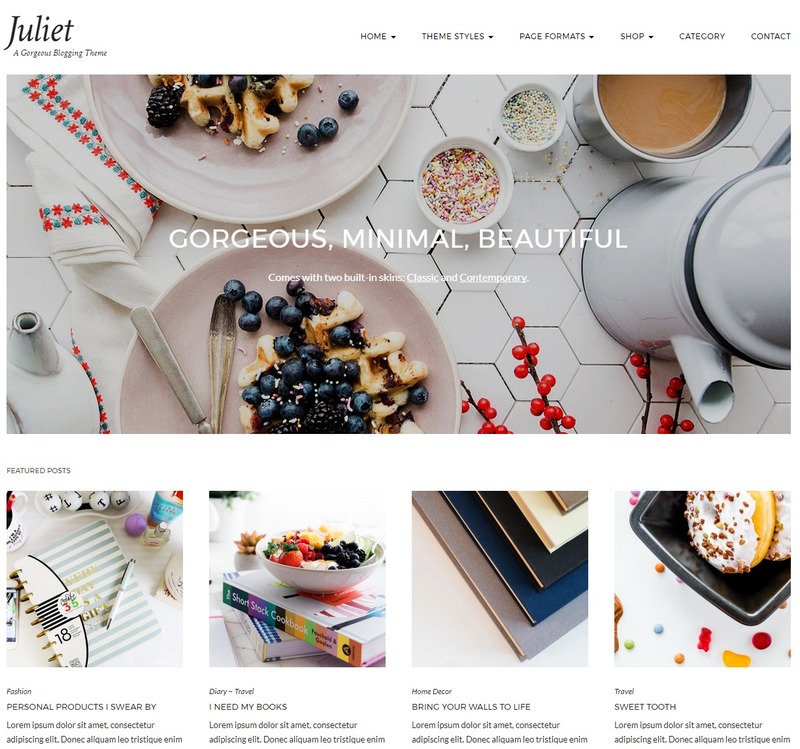 As the name says it, Juliet is a more feminine version of a minimal WordPress theme. Elegant and stylish, this pretty WordPress theme is all about the feminine aspect of expressing oneself. Highly customizable, you can use this theme to make up any kind of website that you want! With the flexible header and footer option as well as customizable featured images, what else can you wish for? Furthermore, the theme features the super handy and friendly one-on-one support to help you out anytime! Custom menu and background option. Off Canvas menu with a fancy scrollbar. 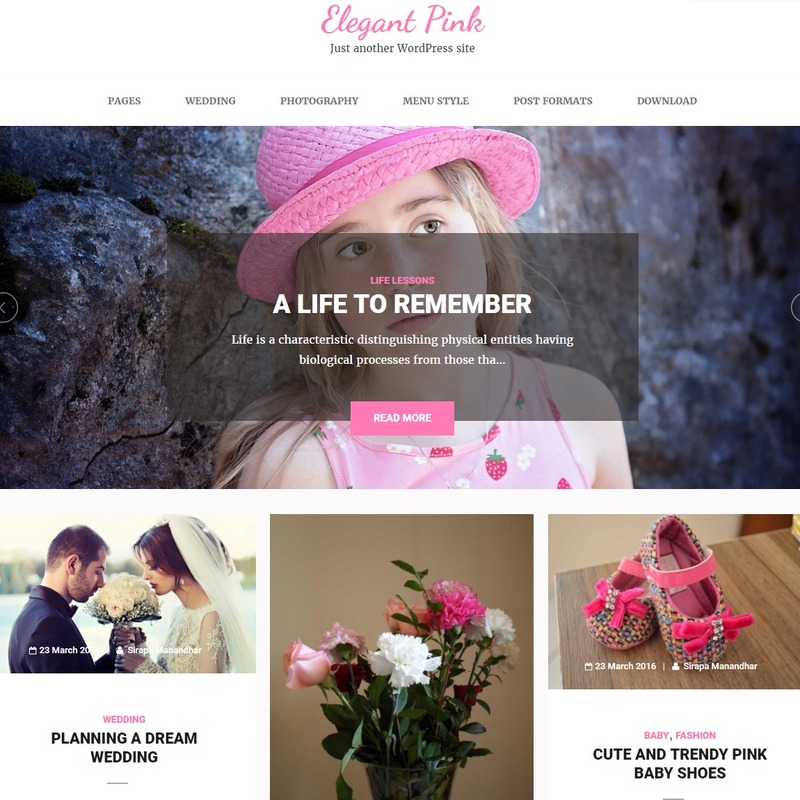 Elegant Pink as the name says is an elegant pink feminine WordPress template that is suitable for content heavy blogs and magazines. The visually pretty and appealing design lets you create the unique and creative website that you always wished you had! Highly customizable with 6 predefined homepage layouts make this even more awesome! Furthermore, this template also allows you to highlight the author comment and add a beautifully designed author box for more recognition and distinction. Responsive and mobile friendly layouts. 6 premade header and homepage layouts. WooCommerce integrated and SEO friendly. Advanced slider option with social media integration. 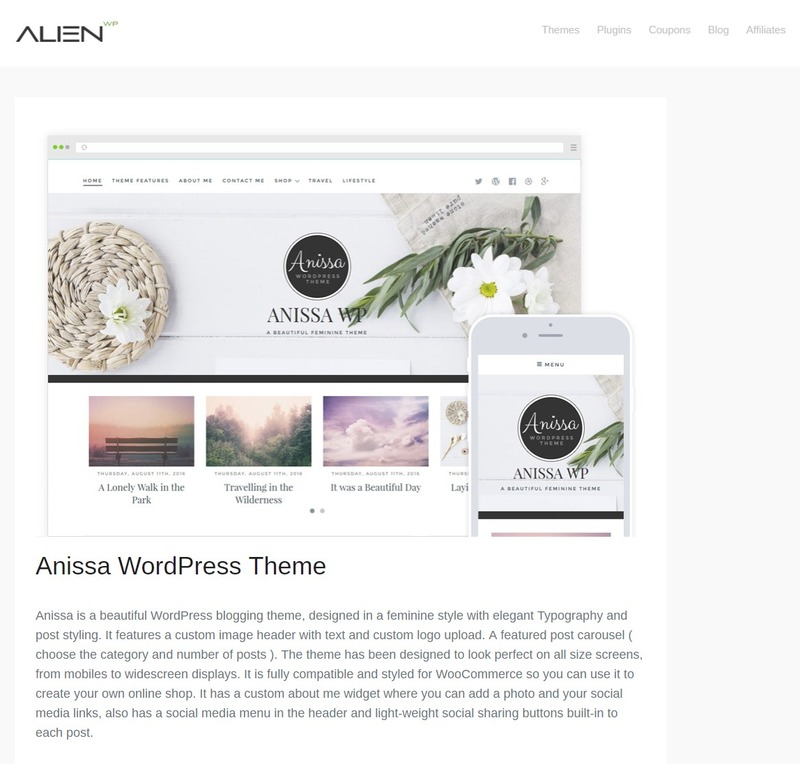 If you are not up for premium themes, here is a great feminine WordPress theme, Anissa. Because of its beautiful layout and awesome functionality, this theme is worth a mention on our list of best WordPress themes that you can find out there. The simplistic and minimal feminine aspect of this template is what makes this appealing. Topping it off, the theme also features unique and pretty typography and post styling. You can also set up an online business as this theme is fully integrated with WooCommerce. Built-in Social Media sharing buttons. The whole point of our list is to get our female users the ability to express themselves and their perspective in a more elegant and feminine way! Nonetheless, we also encourage them to try out the themes listed above. We hope with our listings, you have found the perfect feminine WordPress themes that you can switch to immediately! If we have left out any of other best feminine themes, you can let us know in the comments down below. We hope this article helped! If you found this article helpful, why not check out our other theme lists? Here are the links to out other lists! 15 of the Best WordPress Bootstrap Themes for 2019! 10+ Best WordPress blog themes and templates!